Over the last few months, there seems to have been a resurgence of interest in disco and boogie, with major and independent record labels in Britain and America releasing countless compilations that look back to the glory days of both genres. Despite this, these compilations of disco and boogie have varied in quality, and can be described as the good, the bad and the ugly. There’s a reason for this, and that is the different approaches each compiler takes. Some of the disco and boogie compilations have combined a mixture of familiar tracks with rarities and hidden gems, meaning that there’s something for everyone in a quality compilation. Often these lovingly curated compilations are released on small, independent labels by people with a genuine love for the music. However, that isn’t always the case in other parts of the music industry. On a regular basis, especially around the holiday period, major labels release budget compilations or box sets where the lazy compiler takes no chances and chooses the same tired and predictable tracks that have previously featured on countless compilations. It was a similar case with the DJ and remixer who recently released a compilation of overblown, bloated and rambling remixes of disco and boogie tracks that were guaranteed to empty a packed dancefloor. This supposed legend seems to have lost his Midas Touch, and a new breed of DJs are snapping at his heels and compiling compilations that ooze quality. This new breed of compilers are thinking outside the box and digging deeper than some of the older compilers. By digging deep, there’s been disco and boogie compilations that have focused on a particular period, while others have focused on certain labels and others have focused on private presses and others on tracks released within one country. However, the recent instalment in Charles Maurice’s Disco Boogie Sounds’ series takes a different approach entirely. Ever since 2015, Charles Maurice has been documenting the French disco boogie sound, on a compilation series released by the Favourite France label. The last instalment is French Disco Boogie Sounds Volume 3: 1977-1987, which is distinctively Gallic, but American-sounding. This has been the case since this compilation series began, and Charles Maurice introduced many newcomers to the American-sounding world of French disco-boogie. It was on the ’21st’ of April 2015, that French Disco Boogie Sounds 1975-1984: Selected By Charles Maurice was released, and found favour with critics who were won over by this lovingly curated compilation. Many critics and record buyers hoped that there would be further instalments in the series. Eighteen months later, French Disco Boogie Sounds 1978-1985: Selected By Charles Maurice was released on the ’14th’ of October 2016 by Favourite France. Just like the first instalment in the series, it was a lovingly curated compilation of disco boogie where the emphasis was definitely on quality. So much so, it surpassed the quality of French Disco Boogie Sounds Volume 3: 1977-1987. DJ and compiler Charles Maurice was on a roll. Now fourteen months later, he returned with French Disco Boogie Sounds Volume 3: 1977-1987 which features thirteen tracks from familiar faces and new names. This includes Maya, Paul Fathy, Judy Carter, KKE, Caramel, Yannick Chevalier, Silence, Zorgus and Joël Daydé. They’re just a few of the names on the much-anticipated French Disco Boogie Sounds Volume 3: 1977-1987. Opening French Disco Boogie Sounds Volume 3: 1977-1987 is the dub version of Maya’s Lait De Coco, which was on the B-Side of the 1987 single for Marina Media. It was penned by Christophe Laurent and Olivier Andres and features an arrangement that is funky, jazz-tinged and thanks to the soulful vocal which drifts in and out. Add to the mix lush disco strings and a Latin influence and it’s a quite beautiful way to open the compilation. During his musical career, Ernest Koffie used a variety of monikers including N.S.T Cophie’s who self-released his fourth album Segregation in the Ivory Coast in 1985. The highlight of the album is title-track Segregation, which is a soulful and full of social comment. Sadly, Paul Fathy’s recording career amounted to just one single, Je N’Speak Que L’Amour which was released on Vague Music in 1985. Hidden away on the B-Side was Funky Baby Love which is a slick, soulful, and funky slice of boogie with a disco influence. As synths strings dance, eighties drums crack and later, a saxophone interjects. In doing so, dance music’s past and present combined in 1985 to create a track that has stood the test of time. 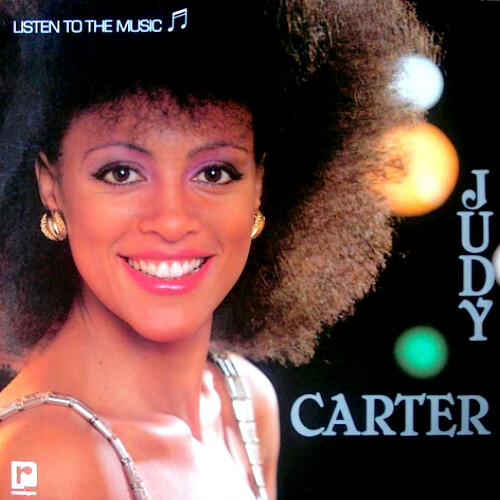 Judy Carter only ever released the one single, Listen To The Music on the Paco Rabanne Design label which was active from the early eighties up until the ‘23rd’ of October 1987. Two versions of Listen To The Music were released, and it’s the 12” version that features on the compilation. It featured a soulful vocal from Judy Carter while strings sweep and horns interject as the arrangement combines elements of jazz-funk and funk during this carefully crafted and irresistible dancefloor filler. KKÉ only released one album during their career, and that was Pas Tout, which was released on MM Records in 1982. Frank Faas produced Pas Tout, including the standout track Money. It’s initially funky and soulful, before Afrobeat, and jazz are added to this melodic disco boogie anthem. Caramel’s 1979 single L’Amour Toujours L’Amour was released on the Barclay label, and also featured in the soundtrack to the comedy Bête Mais Discipliné. This was a film was never going to win an Oscar, and L’Amour Toujours L’Amour may have been the best thing about the film. Realising that, compiler Charles Maurice has chosen the 12” version of this disco boogie track that lasts six funky and soulful minutes and features stabs of piano that are reminiscent of Leroy Burgess, while the overall production has been influenced by Patrick Adams disco releases. When Yannick Chevalier released Ecoute Le Son Du Soleil as a single on the Point 12 label in 1984, the instrumental version featured on the B-Side. Alas, the single passed most people by upon its release despite being an innovative and melodic example of disco boogie where Yannick Chevalier made good use of the available technology. In doing so, it sounds as if he’s been inspired by American boogie, but takes it in a different direction to create something new and innovative. Nowadays, Ecoute Le Son Du Soleil is real rarity which changes hands for £125 or $175 and the instrumental version is a favourite of DJs. Jekys only single was Fire, which was released on Polydor in 1982. Tucked away on the B-Side is the oft-overlooked disco boogie hidden gem Looking For You which has a slick, polished production by Henry Gassin. Thirty-six years later, and Looking For You and this timeless track would still tempt dancers onto the dancefloor. Silence is another group who only released the single during their career. 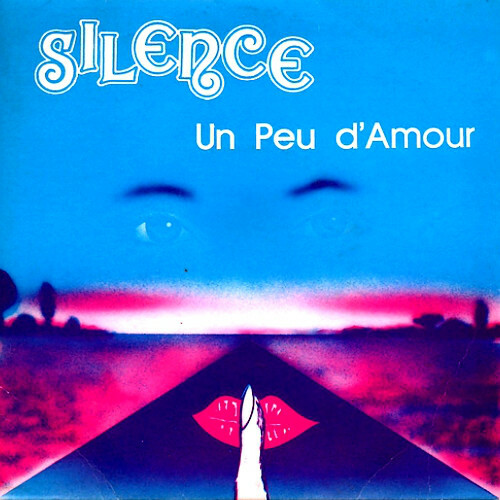 This was Un Peu D’amour, which they produced and self-released in 1987. It’s funky, slick and soulful song that deserved to fare better than it did. Sadly, like may groups who release private presses, Silence probably had neither the budget nor the expertise to promote the track, and that is why Un Peu D’amour is the one that got away. Wally Badarou and Sher Komisar wrote Give Back My Song which they released on BBZ Productions in 1977 as Wally and Shane. This was the height of the disco era, and strings dance before the vocal enters and this funky, soulful and sensual hidden gem starts to reveal its secrets. It’s without doubt one of the highlights of French Disco Boogie Sounds Volume 3: 1977-1987. Sadly, despite the quality of Give Back My Song the single failed commercially, and Wally and Shane never released a followup. After recording Flash at Studio Marcadet, in Paris, the members of Zorgus decided to release the single themselves. This wasn’t unusual, as many artists and bands had released private presses. Most of them had a few hundred, or at most a thousand copies of their single or album pressed. Usually, bands erred on the side of caution, as releasing a single was expensive. Especially, when it failed to sell, which was what happened to Flash a funky, soulful and dancefloor friendly track where the hooks haven’t been spared. Closing French Disco Boogie Sounds Volume 3: 1977-1987 is Qu’est Ce Que Tu Fais Par Amour which was released on the B-Side of Joel Dayde’s single Les Petits Robert which was released in 1981. This was a decade after Joel Dayde made her debut. Since then, she had released four albums and twenty-seven singles and EPs. However, music was changing, and changing fast, so Joel Dayde decided to change direction on Qu’est Ce Que Tu Fais Par Amour which is a melodic and memorable disco track that shows another side to the French blues and soul singer. For the past three years, DJ and compiler Charles Maurice has been documenting the French disco boogie sound, on a compilation series released by the Favourite France label. The last instalment is French Disco Boogie Sounds Volume 3: 1977-1987, which is distinctively Gallic, but American-sounding. That has been the case throughout this lovingly curated series which began in 2015. However, for latecomers to the series, French Disco Boogie Sounds Volume 3: 1977-1987 is the perfect place to start. It features an array of hidden gems from new names, including a number of artists who only released one single. That singe, or even its B-Side features on French Disco Boogie Sounds Volume 3: 1977-1987. Others artists were familiar faces who enjoyed lengthy recording careers, while others enjoyed a career that lasted a decade. After that, their career was over, and they left behind a musical legacy that includes their contribution to French Disco Boogie Sounds Volume 3: 1977-1987. Unlike some musical genres, it was impossible to describe what a typical French disco boogie track sounded like. Some of the tracks on French Disco Boogie Sounds Volume 3: 1977-1987 are jazz-tinged, while others are funky or soulful. Sometimes, Afrobeat and jazz-funk influenced the disco boogie sound on French Disco Boogie Sounds Volume 3: 1977-1987. Some of these carefully crafted tracks feature slick polished arrangements have been influenced by American disco, while other have been influenced by some of the pioneers of boogie including Leroy Burgess and Patrick Adams. Despite these differences, all of these tracks can be described as French disco boogie umbrella, which many people won’t be aware of…until now. For anyone who likes dance music that is funky, soulful and sometimes jazz-tinged, then French Disco Boogie Sounds Volume 3: 1977-1987 is the perfect introduction to the uniquely Gallic, but American-influenced French disco boogie sound that provided the soundtrack to life in France during much of the seventies and eighties. French Disco Boogie Sounds Volume 3: 1977-1987 .